How Many Seats Are in the Mercedes-Benz GLE? The 2020 Mercedes-Benz GLE seating capacity is five to seven (optional). Whether you’re commuting to work or exploring South Riding, VA, the new GLE offers plenty of room for passengers and their belongings. Read on to learn more about the GLE SUV’s seating and other highlighted interior features! Wherever the road takes you, the GLE offers a roomy cabin with ample features to keep you comfortable along the way. The front seats are heated and power-adjustable with driver memory settings. The rear seats fold into a 40/20/40-split, letting you configure the seats so you can carry both cargo and a rear passenger. Don’t need rear seating? Fold the rear seats down for nearly 80 cubic feet of cargo space. The flip-forward seat cushions make it easier to create a flat cargo surface. Want third-row seating? Opt for the available 3rd-row Seat Package, which installs additional seating for two people. These seats can also be folded into a 50/50-split for more cargo room. 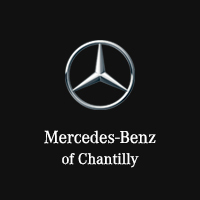 Find a Mercedes-Benz GLE for Sale in Chantilly! Learn more about the Mercedes-Benz GLE seating capacity and interior features at Mercedes-Benz of Chantilly! Contact us to schedule a test drive near Centerville and Ashburn. We can also recommend great parts and accessories, such as Mercedes-Benz GLE seat covers, floor mats, and more. What’s Inside the 2019 Mercedes-Benz GLC Interior?